100meters/ roll, 8pcs/ export carton. 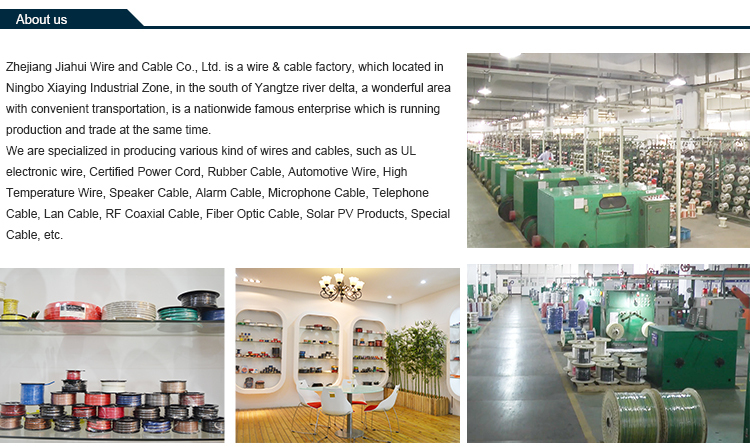 * Are you a manufacture or a trading company? 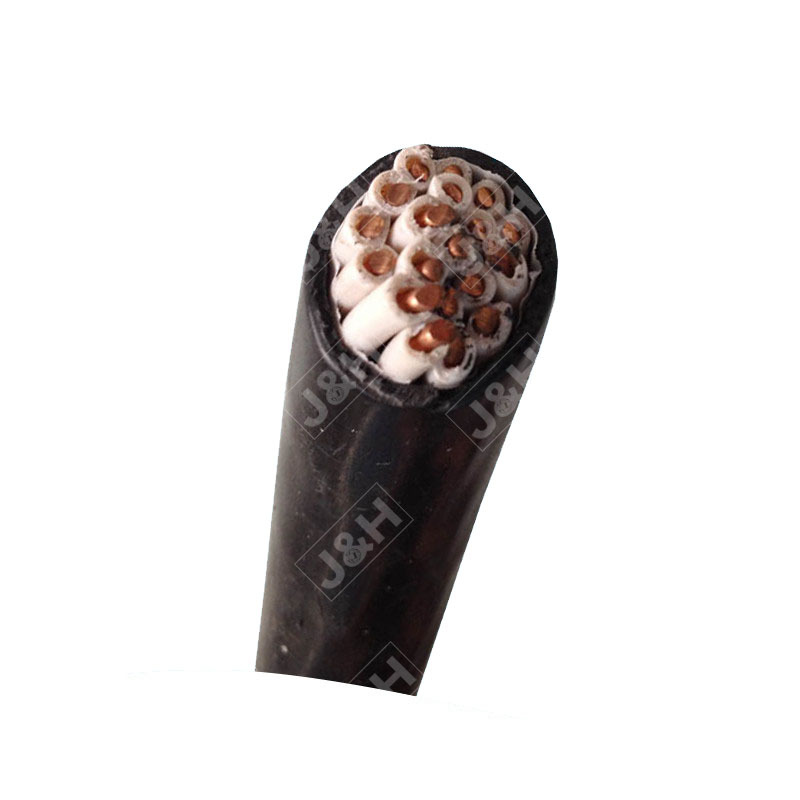 J&H Company is a professional cable manufacturer with 15 years production experience. * What’s your company MOQ? 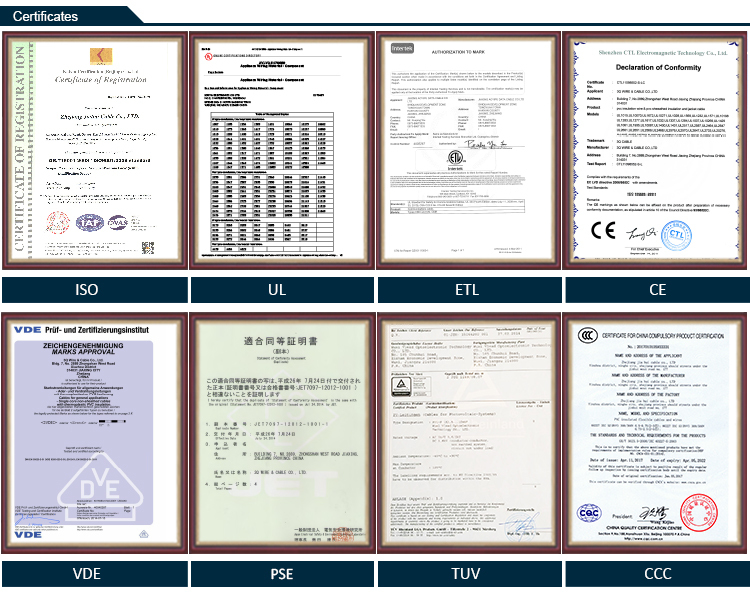 Our company has MOQ requirement, but we also accept small quantity. * Whether these products quality assured ? 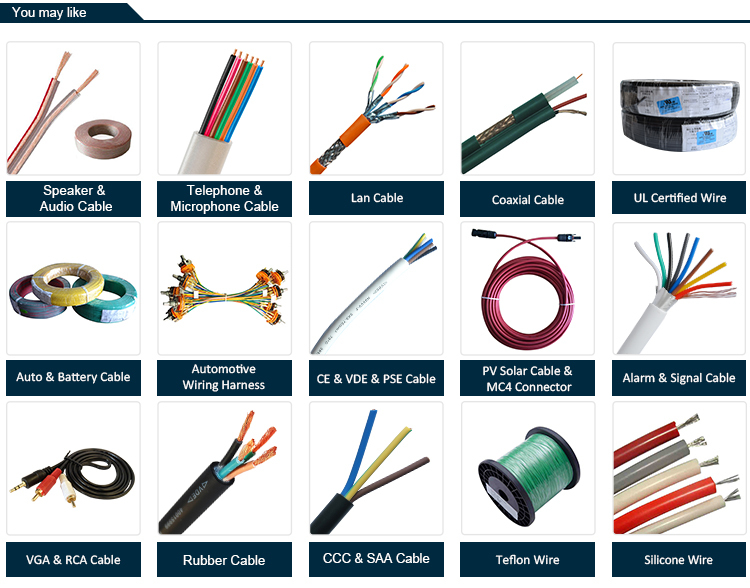 Most of cables are certificated. 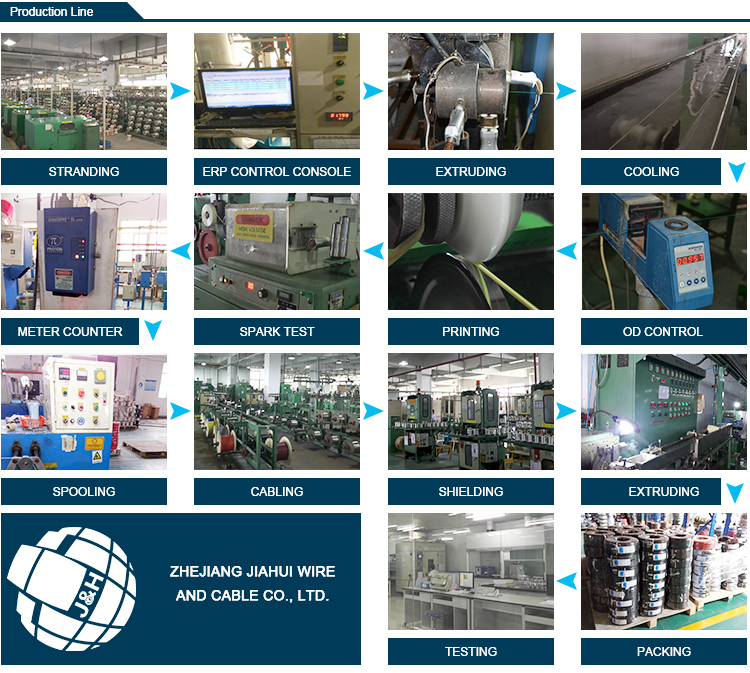 Also, we have strict QC, all products are 100% tested before delivery. Quality is assured. * When I want customized products, how to do? We have Equipped with professional equipment, technicians & skilled employees, OEM & customized service is welcome. Drawings / samples are required. * Can you send a sample for us to test? 1. If we have inventory and total amount is small,it’s free. 2. If we don’t have inventory, sample and freight cost have to be paid by your esteemed company. 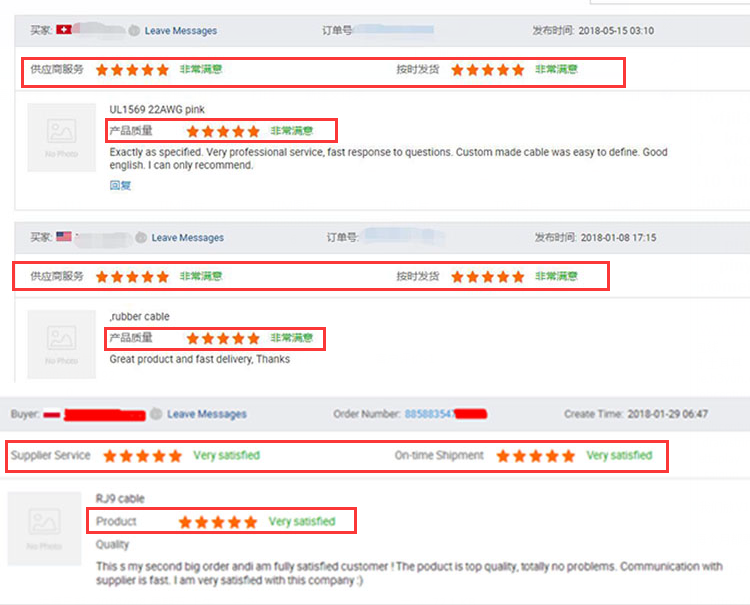 But we will return the sample cost to you when we receiving your initial order. *If I want to purchase, how to pay ? Generally we do T/T in 30% deposit before production,70% balance against copy of B/L . Also payment terms are negotiable depending on customer’s request. *After I pay, what about the lead time and shipping method? Goods can be delivered by air, by express or by sea; International Express as FEDEX, UPS, DHL, TNT; You can choose the best way as you wish. As for the Lead time, 10~20 days.